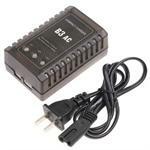 EC5 Series Adapter - combines 2 batteries with EC5 connectors and Doubles the voltage. 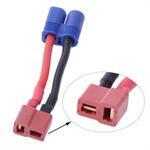 This adapter utilizes heavy-gauge wires. 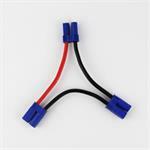 XT60 Parallel: adapts 2 x XT60 battery packs to 1 XT60 battery connector. Voltage stays the same. The Capacity (mAh running time) DOUBLES. 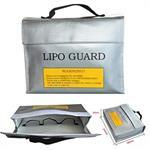 LiPO Guard Charging sack - for LiPO, Li-ION, LiFe battery packs. 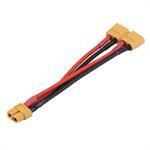 Size: 240mm x 180mm x 64mm (approx. 10' x 8" x 2.5"). Includes carry handle. 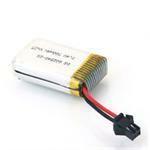 2S300JST : 7.4 volt 300mAh rechargeable Li-PO battery for RC. 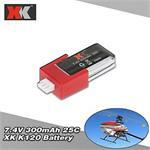 For receiver or small scale electric motor. Includes JST conn & balance connector. 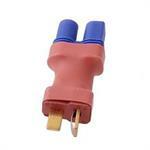 Other connectors available.